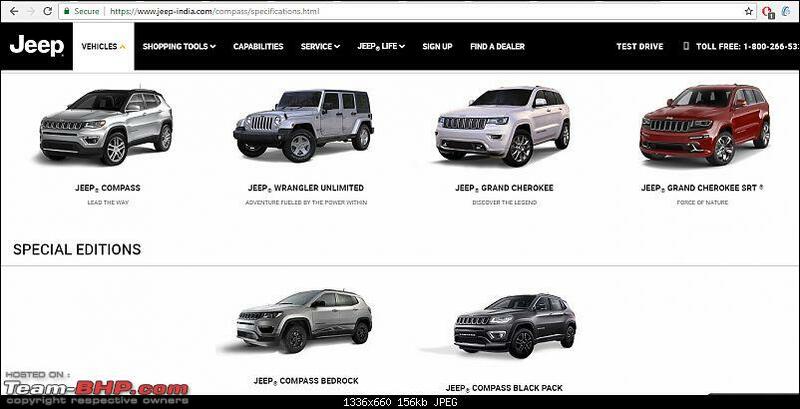 With all the new variants, Jeep is pushing the vehicle price up. 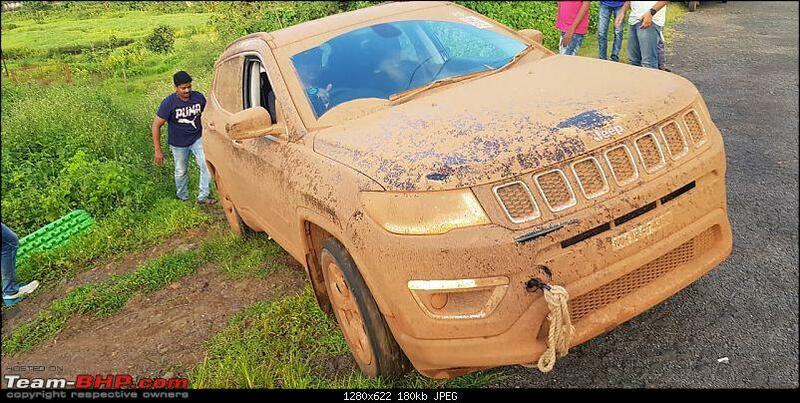 This seems to be a calculated move to push the price of the Trailhawk and their diesel automatics into the 25 lakh ex showroom price bracket. 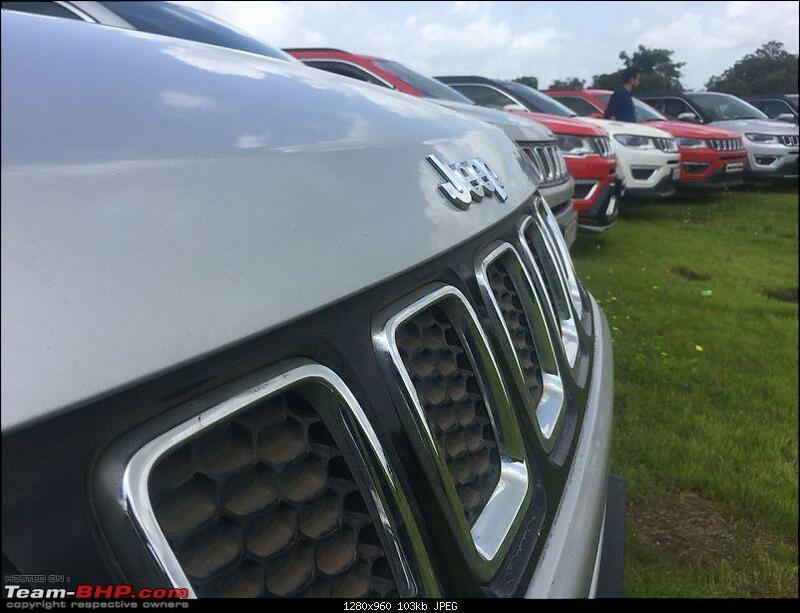 Jeep will do well if they can just launch their diesel automatic for their festive season. I see very few Compasses in 4*4 trim and if the Limited + is going to be launched only in the 4*4 spec then they are not going to sell in large number. This looks more like unsold inventory of the 4*4 in new variants to me. Could be wrong ? 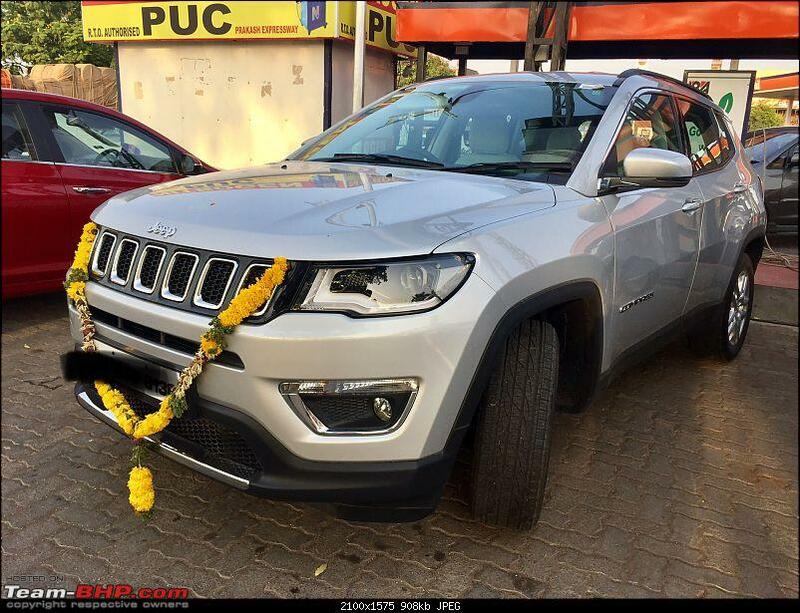 Jeep Compass in more variants - Jeep Compass Limited Plus launch next month. 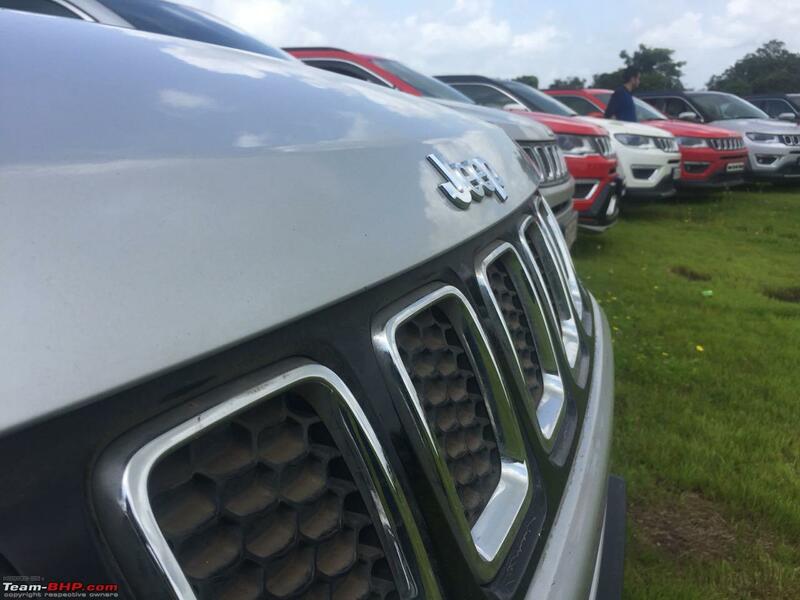 Its raining variants at Jeep India. I hope the sunroof from the Limited Plus variant eventually becomes a paid accessory from Mopar for older vehicles too. 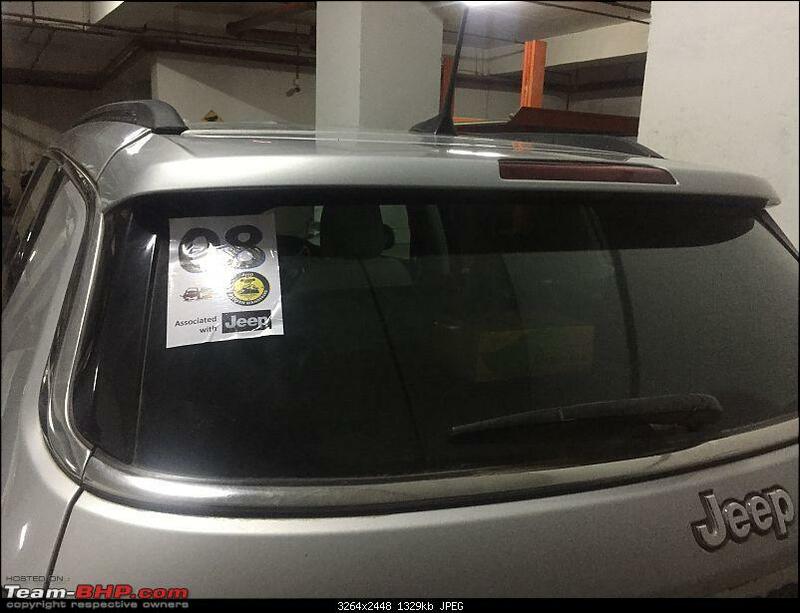 I would've certainly gone for a variant with a sunroof was it available a month back. Almost an year of ownership. Above 26k on the odometer. A blissful ride so far. 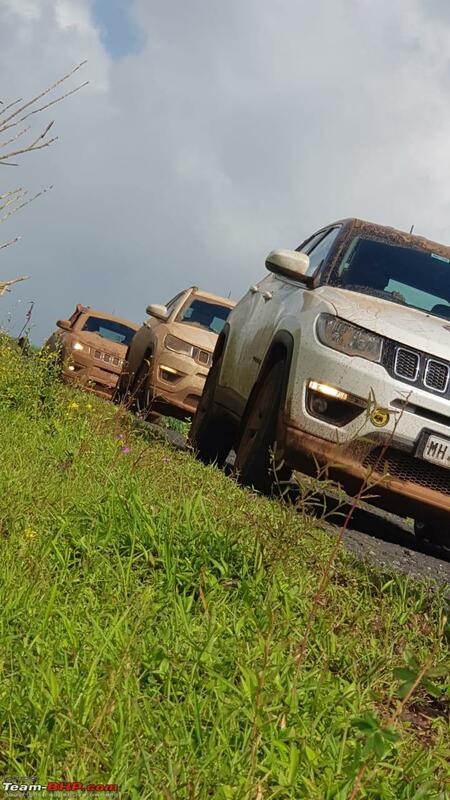 Apart from just owning an SUV, took part in three Jeep trails ( planning to do another this month end), made a lot of Jeeper friends across India and got lots of chances to drive the Jeep the way it's intended to be driven. Happy and contended... Need I say more? 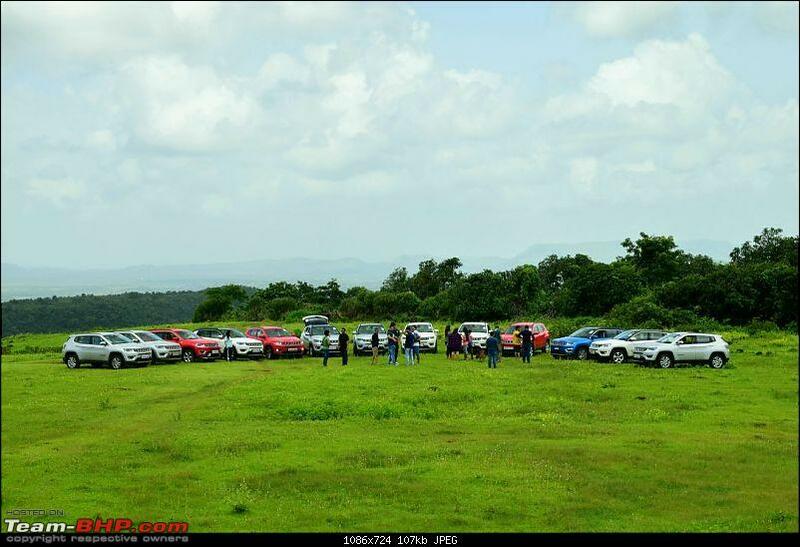 Month back came across Jeep Activity group - Jeepag.com and got associated with Western wonderers group. 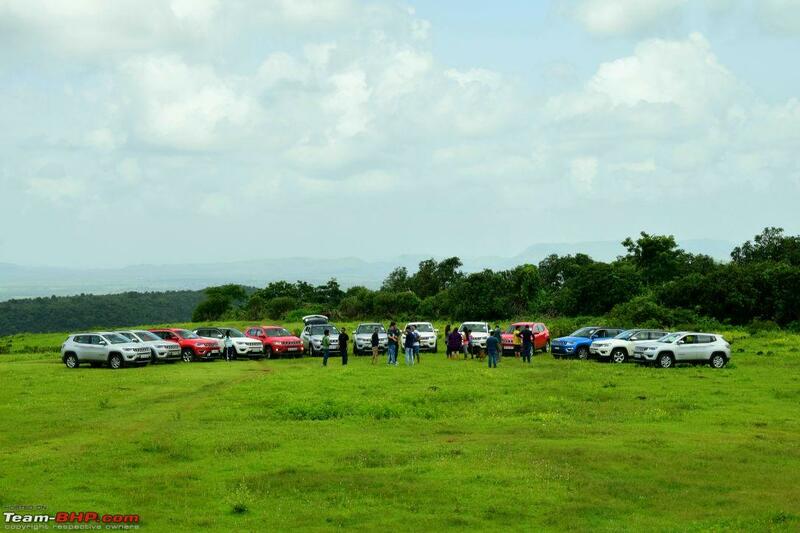 This is a group Jeep owners and they plan off road drives most of them are planned by Jeep or Associated with Jeep. 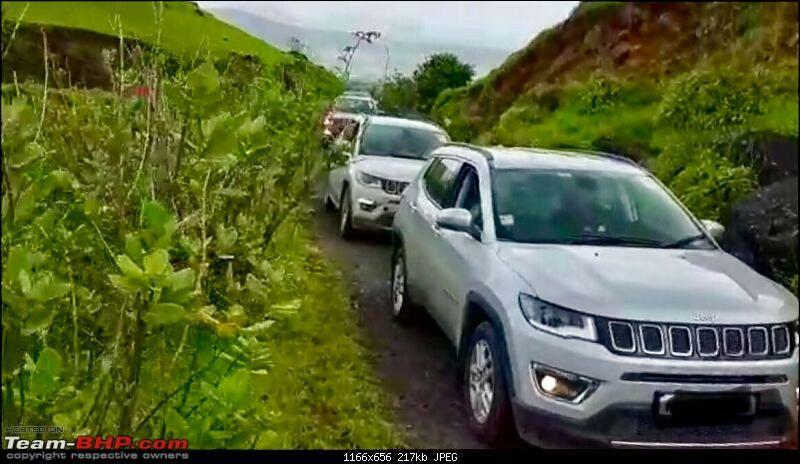 Recently they planned a end of monsoon drive to Vyagreshwar temple which located 14kms away from Pen. 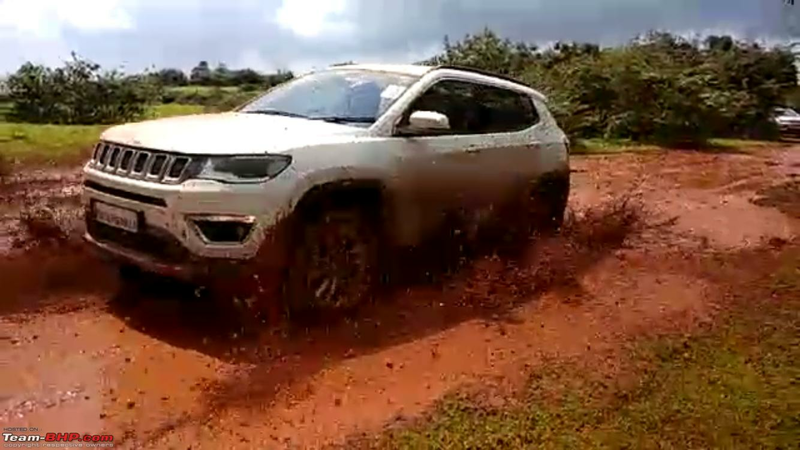 perfect spot for Jeep compass to do the off road drive. 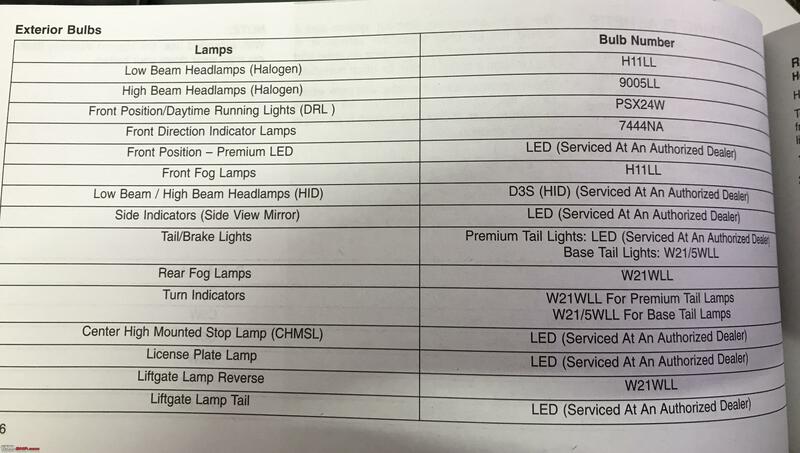 Can anyone help me find LED replacement for the bulbs with same specifications as given below. 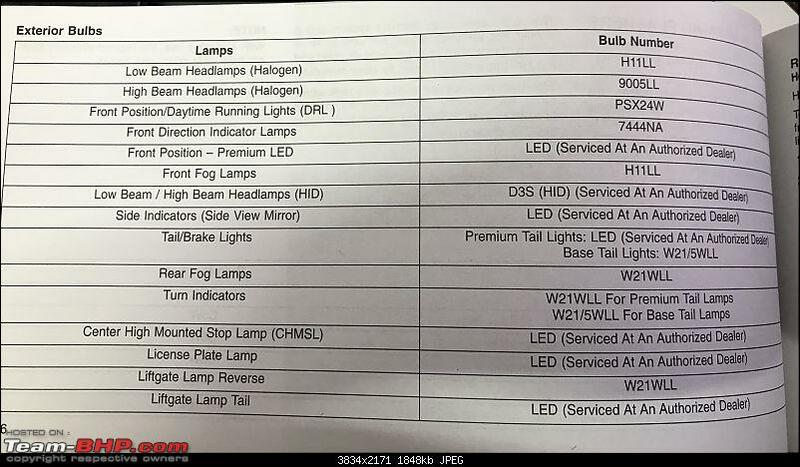 Preferably from reputed company, I plan to upgrade DRL, interior lighting. Drove the Petrol AT for the first time a few days back. The engine is okay. Compass is heavy and it shows in the performance. Was not a surprise since I was expecting that. But what ruins it is the DCT. It was too lethargic! The shifts were smooth, but the box is so reluctant. Even when you take manual control through the tiptronic, it was not ready to play ball. Just kept throwing that warning on the MID. Wondering how the 1.4 MT is. There is simply no point in having so many ratios if the transmission is not too eager to change gears. I really hope the 9 speed auto on the upcoming diesel is better. It has to be. Other than that the Compass really shone. 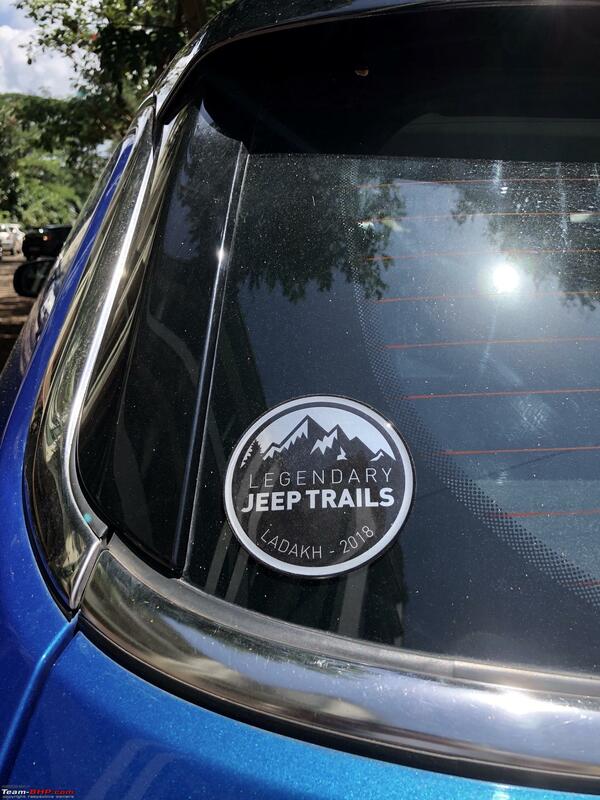 I took it through some well paved winding roads and the Jeep was indeed a pleasure to drive. It also took the broken bits with aplomb as expected. Really my kind of suspension. Stiff but well damped. The whole package including the steering and brakes comes together so well. And that indeed makes the drivetrain feel so very short. Wondering how the 1.4 MT is. Just took a TD of the 1.4 MT and while Compass is great the engine is a let down. The thing takes ages to rev up and the pickup is terrible the initial lag is a lot. Hyundai Tucson in comparison has better low end pickup and even though its AT box is a torque converter the engine is a non-turbo one which explains much. I did not do a TD of the Tucson MT because of non existent safety features that even Compass Sports gets. These are being evaluated as replacement for my house car "Hyundai Accent". There is a audible click noise while shifting gears, 1-2, 2-3 and so on. The noise is prominent when I release the clutch slightly faster. The noise is also heard when I suddenly accelerate after coasting at idle rpm. 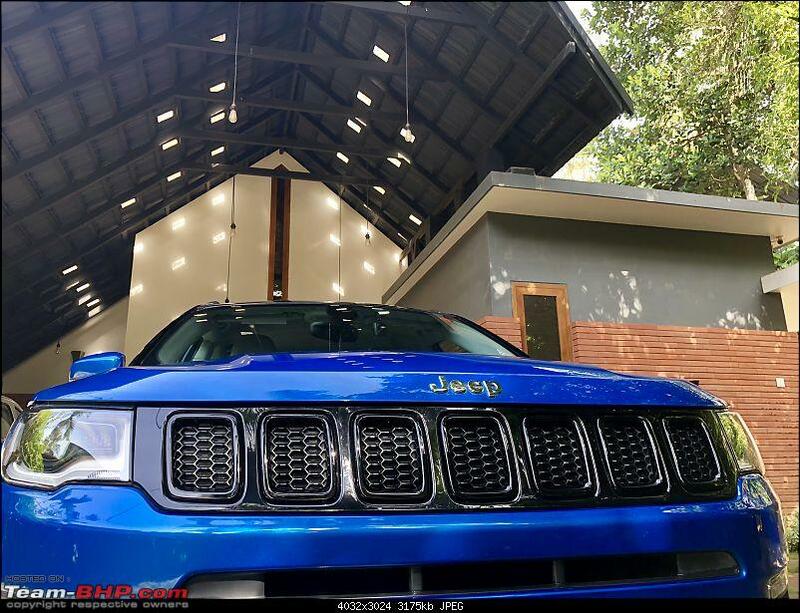 Took the car to showroom, they are saying it’s because of the dual mass flywheel but I test drove their 4X4 Compass the noise is not there. Anyone else faced or noticed this noise? Is it something to be concerned about. This problem exists in all 4x4 variants. 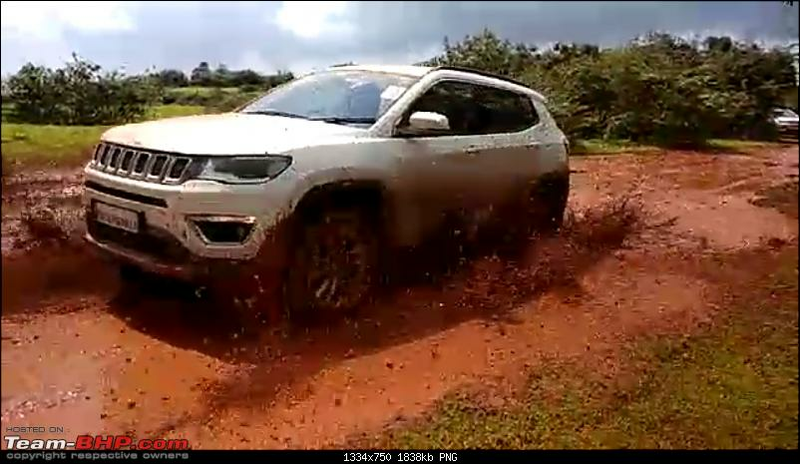 I too was annoyed by this noise, but the service center showed the same noise in another 4x4 present there. 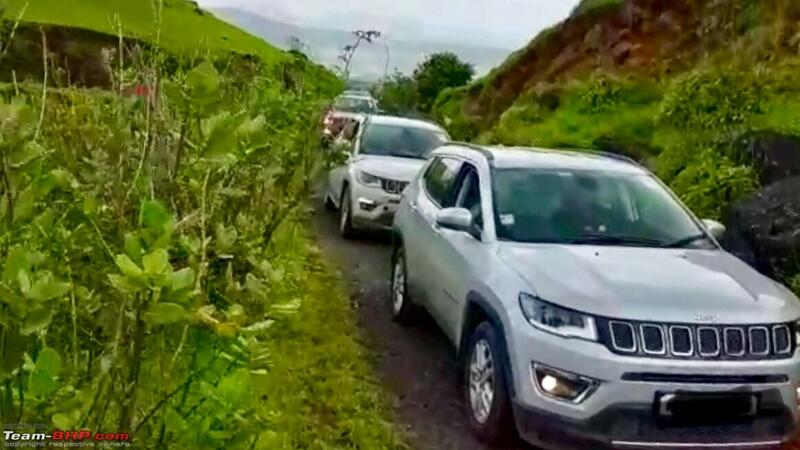 Was the test drive vehicle newly manufactured? Maybe they have resolved this issue in later batches. Mine is December 2017 manufactured. Same here. 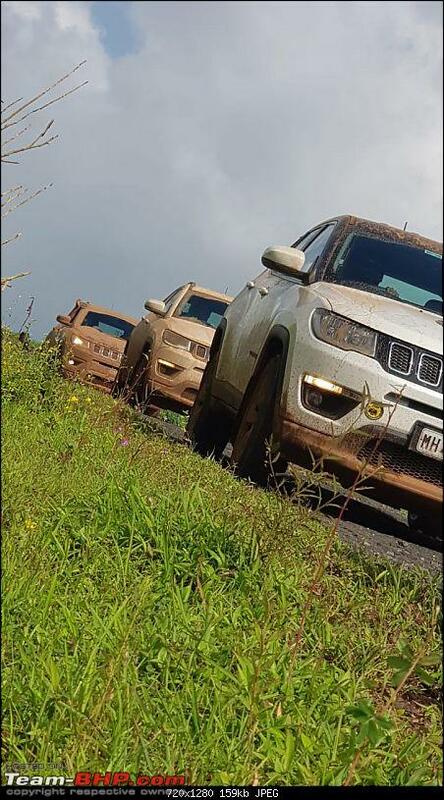 Mine is a 4X4. Not very annoying, but anything that makes noise is more likely to fail sooner or later. 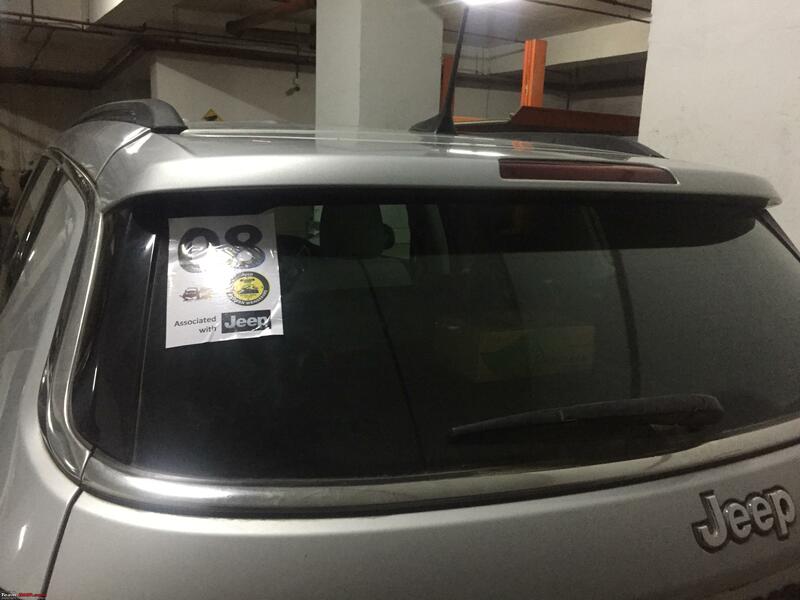 BTW, I didn't take it to the service center yet. I will ask them to check when I take it in for the 6M/5K service. More annoying to me is the jerk when I depress the clutch in 1st gear. It does not happen always, but about 50% of the time, and I am not yet able to establish a pattern. I don't know if its been posted before but you can tell a lot about a car by the company it keeps "& are compared with". That looks awesome. Where did you get it from. 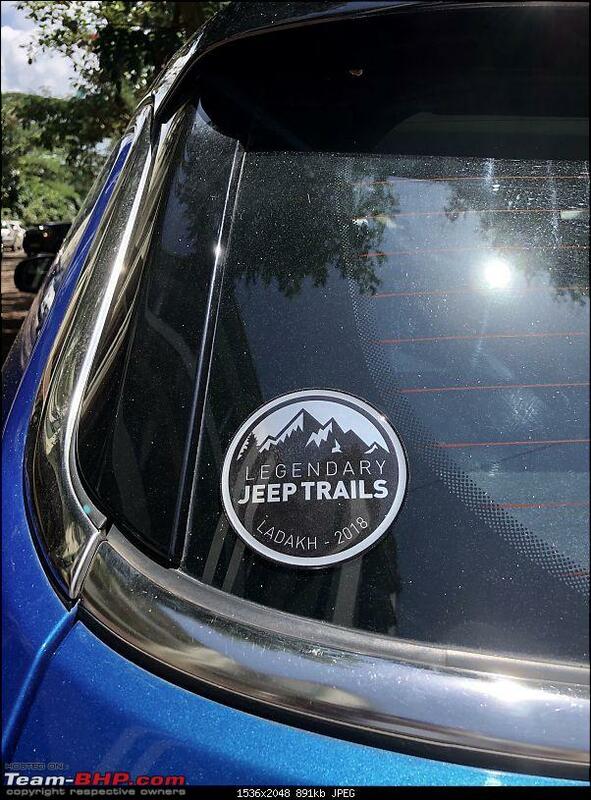 Jeep should offer this as an option atleast.